Two retail canopies for DIY giant. 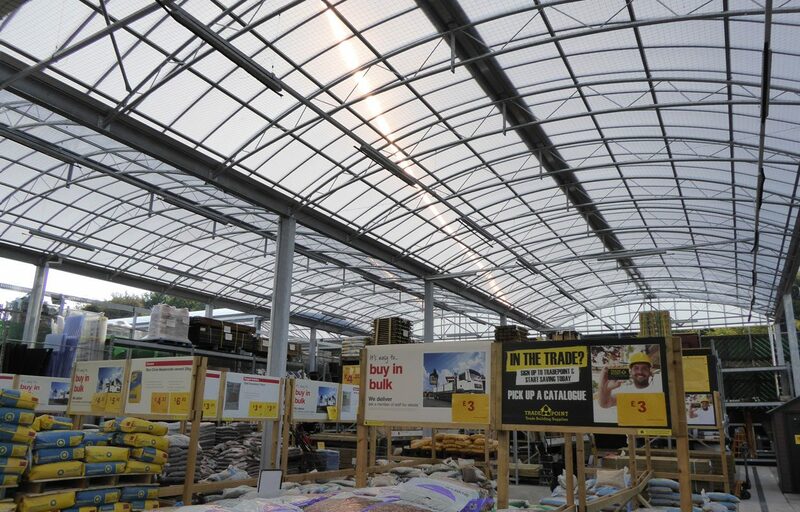 Two barrel vault canopies, a single span and twin span, extended B&Q’s retail area improving the customer experience and increasing the stores potential revenue. 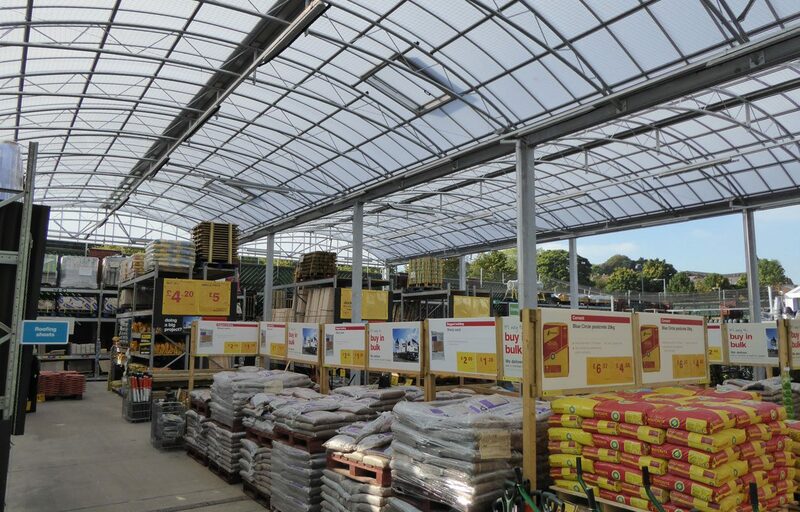 The structure’s frame utilises the taper trellis canopy design, which is best for covering large areas cost efficiently. A hot-dip galvanized finish is completed by a 16mm polycarbonate roofing solution, the perfect combination for longevity. 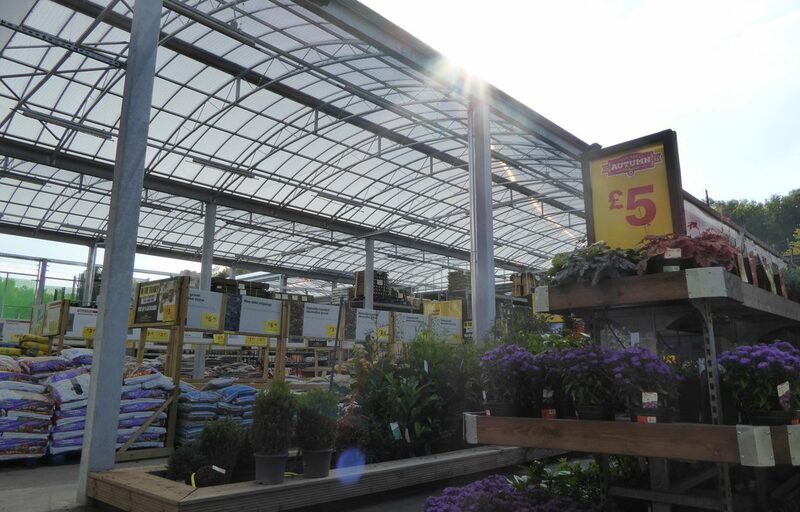 View another canopy application for B&Q in Merthyr Tydfil.